You want to make the internet freer & better ? The time is running ! – Foundation of an operation and development company for the APOOS project. – As soon as possible development a basic module. – Step by step: Development of additional modules. Main features and basic elements: Streets of APOOS, community features, points account, club membership, privacy module, network features, products I, projects I, marketplaces, groups, mail system, distribution network and more. *) All items including social security contributions, income tax, VAT, Crowdfunding campaign fee and payment fee. Should there be savings in one area, these funds will be used in another area. Currently there are e.g. still no budget for advertising. 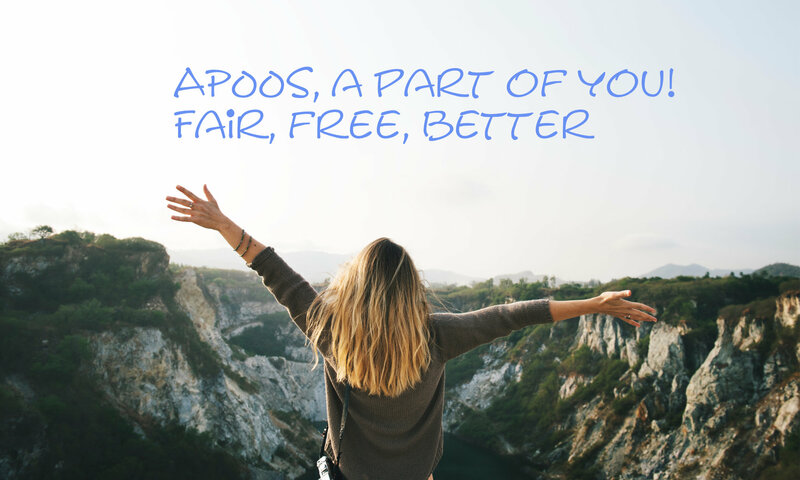 Please also share the APOOS campaign with your friends and business partners.